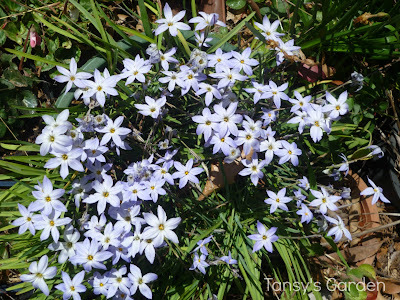 We've had some amazingly warm weather the past couple of weeks so our garden is blooming. We grew some cauli's last winter and after cutting the heads off I left the plants in the ground to harvest leaves for the chooks over the summer. Then in late summer/ early autumn the plants sent up heaps of new shoots and over the past month we've been eating lots of baby cauliflowers. One plant alone sent up four or five baby cauliflower heads. 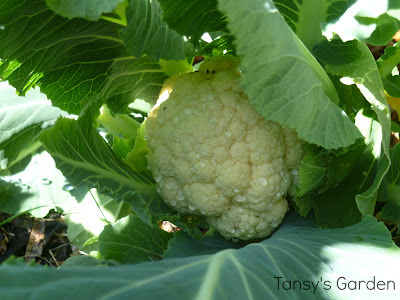 So if you like cauliflowers and have space in your garden to leave the almost dormant plants over summer, you'll be rewarded with a crop in the second year. 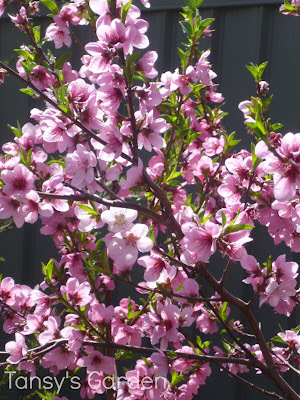 We have a double grafted nectarine tree and the blossom on the different grafts are slightly different pinks. Both pinks are pretty and both are loved by bees! This will be the third fruiting year for this tree, so we have our fingers crossed for a great harvest (if we can keep the birds away!). These are in a pot, but we are thinking of planting them under one of our fruit trees so they can spread through the garden. 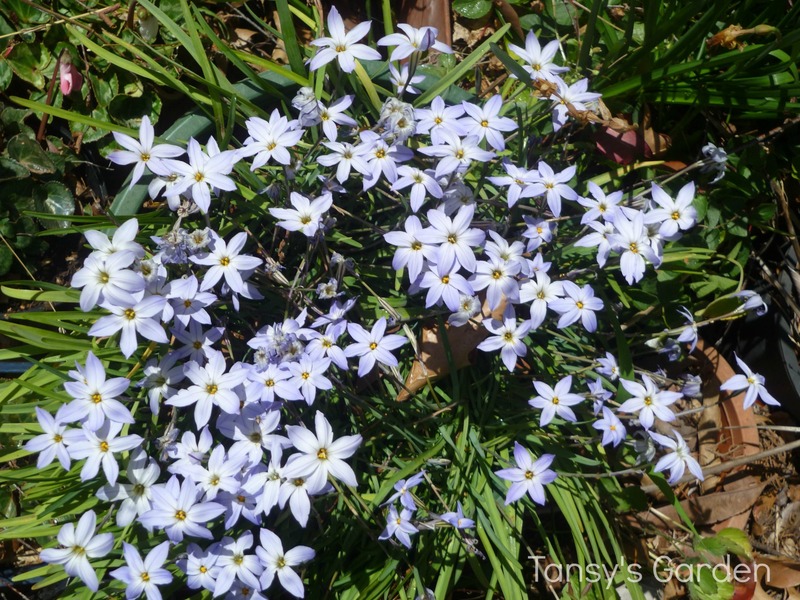 A house not far from us has spring stars all through their front garden, it looks lovely and makes me smile every time we pass it. 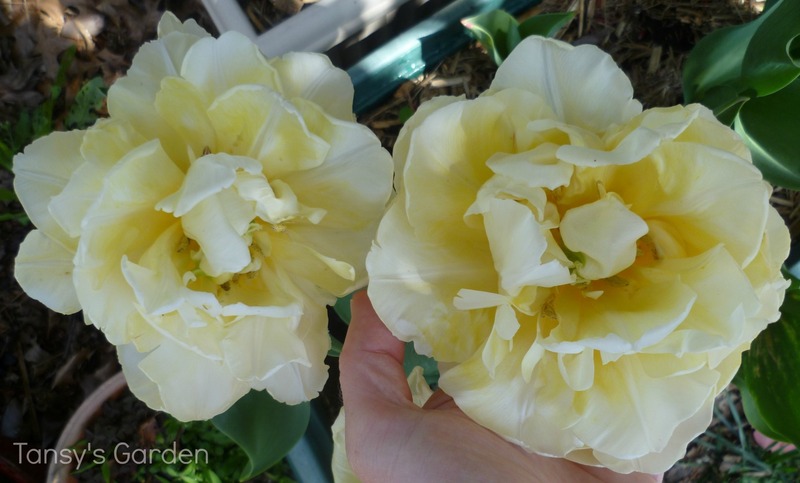 I never realised that some tulips have a scent - these have a gentle lemon scent. Our lime tree had a good harvest this winter and I've been trying out Lime Pie recipes (but we eat them too fast for photos!). Hi Michelle - I didn't know that caulis will come back for a second year if left. How interesting ..... I am also surprised the chooks didn't eat them up shoot, root and all lol. Wish we had chooks, and the room to try this out in NZ - one day perhaps. How did you keep the birds off the nectarines? Hello! We would just pick cauli leaves for the chooks, they live in their own run - if we let them loose in the garden I think Tansy would chase them around and around! We have to net the fruit trees against the birds. Though it seems like we have to buy more netting each year as our trees get bigger and bigger!